Fee $175.00 with a Full Home Inspection. 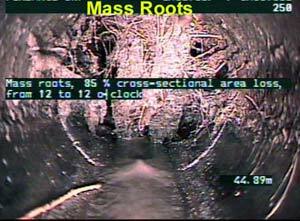 Sewer scopes cannot be done at the Coast. They can be provided in the Portland metro and Vancouver, WA regions. 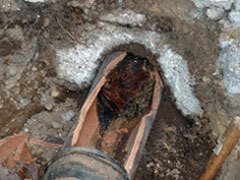 One of the most expensive repairs that you may ever make to your home is to repair or replace your sewer line. Damage to your sewer line may cause flooding in your home or even sinkholes on your property or in the alleys and streets. 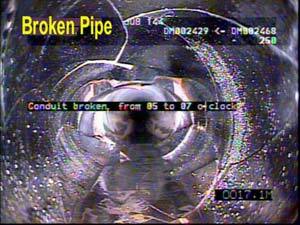 That is precisely why most municipal wastewater management divisions suggest that all homes have their sewer pipes inspected regardless of whether it is a new home purchase, a turn of the century home, or a home that is having minor sewer problems. 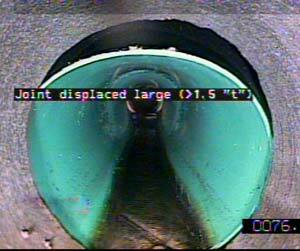 Having your sewer pipe inspected can save you hundreds. I client of mine had interest in an old Portland home in North Irvington. By old, I mean early 1900s. In speaking to the listing agent, she told me that when the home been under contract previously, it was discovered thru a sewer scope that the homes sewer line connected to the neighbors. That is a party line. The previous homebuyer terminated the contract even though the sewer scope showed that there were no problems with the cast iron line. Apparently, the scope was only performed until the point it met the neighbors line and no further. Why they didn't expand the scope, I don't know since I wasn't there. But that homebuyer ran away because he didn't like the idea of his line going into the neighbors yard. I can't say I disagree. The thing to consider about party line is that even if all the lines involved pass the test today, a future problem could spell big bucks. You see, a future problem with any of the lines in the system will draw the City of Portland's attention. The city will probably then force homebuyers to get off the party line and connect directly to the main. Cha Ching! I can't say it enough, perform a sewer scope if you're buying an older house in Portland. I think most homeowners with party lines don't even know they have them.